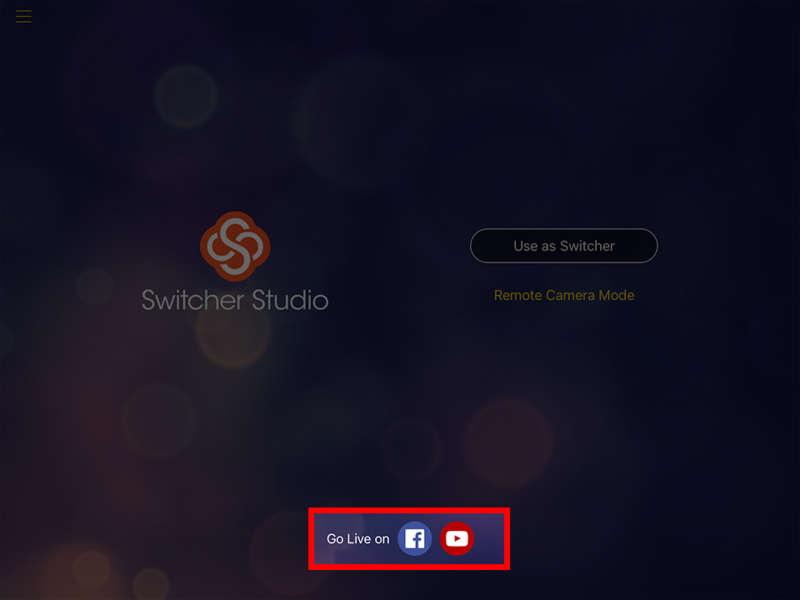 Switcher Studio allows you to quickly setup and create Facebook Live and YouTube Live events. After launching the app and logging in, before selecting “Use As Switcher” look at the bottom-center of the screen. You will see the Facebook and YouTube logos. 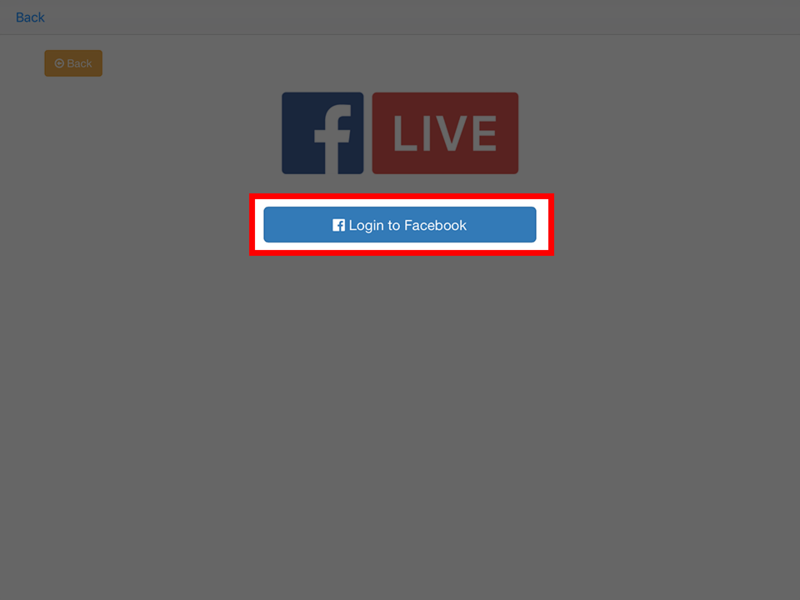 Tap on either one to start creating a live event. 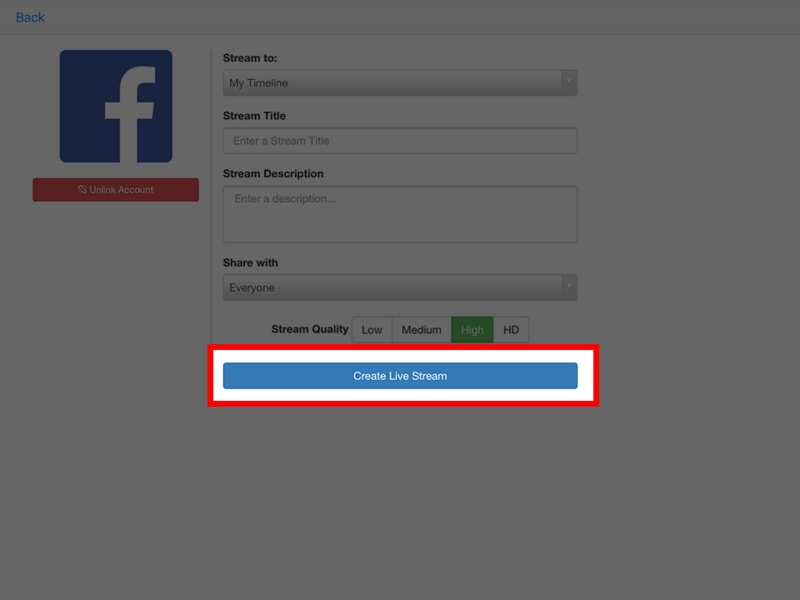 This will bring up the channel creator and allow you to start creating the event. 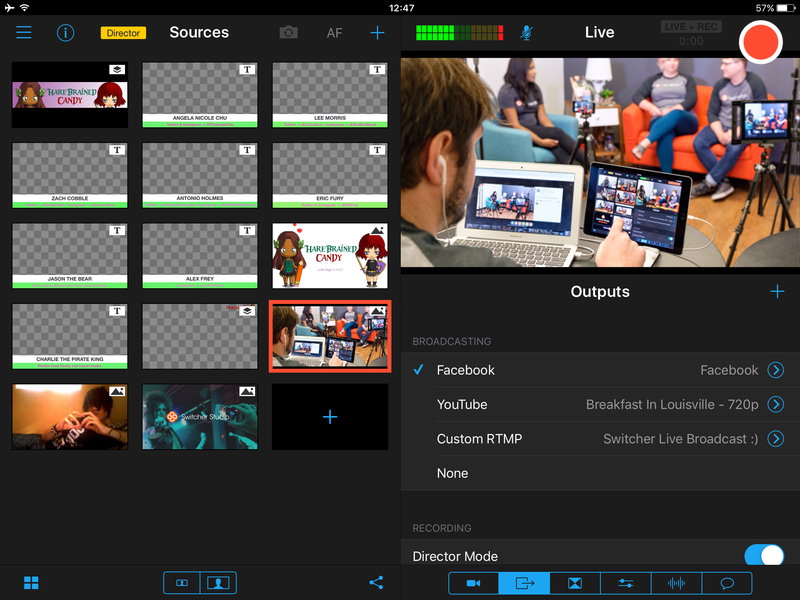 Once done, tap “Create Live Stream” and you will be brought into the main Switcher interface. As soon as you are ready to go live, tap on the red start button in the top-right corner.